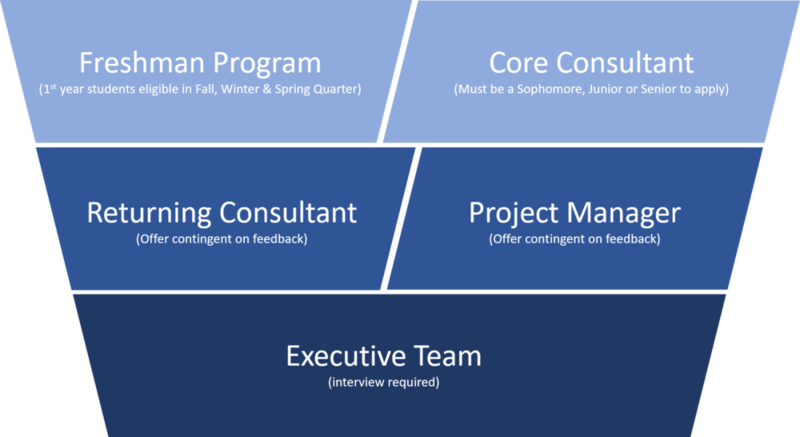 The BIG Consulting Program is a unique and exclusive opportunity for students to apply lessons learned in the classroom setting directly to real-world business situations. In conjunction with the Consulting & Business Development Center, the Business Impact Group is proud to provide four local businesses each quarter for students to develop tactical strategies for these businesses. Each quarter, four teams of five students will each help their companies grow utilizing their critical thinking and analytical skills to deliver innovative and impactful solutions to their clients. If you are interested in helping companies achieve their goals, creating jobs in the community, and strengthening the regional economy, BIG Consulting is for you!